To accommodate my dietary restrictions under P90X, she slightly modified Heidi Swanson's recipe for double broccoli quinoa, substituting milk and lowfat Greek yogurt for the heavy cream. 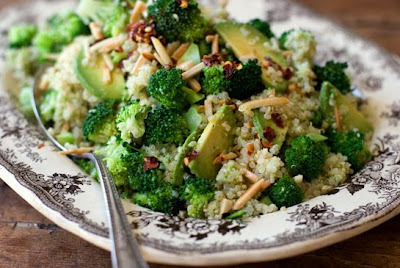 This double broccoli quinoa bowl is a favorite of mine. I cook up lots of broccoli, then puree half of it into a pesto. The other half is cut into little florets. Tossed with some quinoa, sliced avocado, and a drizzle of feisty chile pepper oil, it makes a nice meal and I hope you like it as much as I do. I did. It was incredible. I could eat this all day. It helps that I love broccoli, avocado, almonds and quinoa, but it's delicious regardless. If you're looking for a super-healthy, super-tasty vegetarian meal that's totally within P90X guidelines, I can't recommend this dish enough. 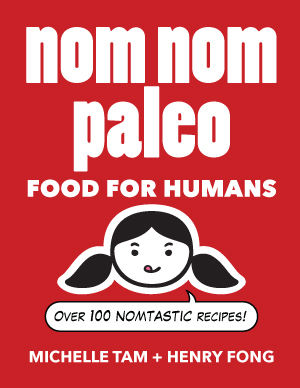 Incidentally, I've not yet had a bad (or unhealthy) meal from Swanson's latest cookbook, Super Natural Cooking. Thumbs up.